Magnetic Gate Openers have a variety of uses. Whatever you need, we have it available. Toll roads have been common for a long time now. Many things have changed. The money used to be collected by hand, but now most of the time it's automated. One of the very few things that hasn't changed in recent history is the use of a toll gate. The gate stops drivers from skipping over that toll, by forcing them to stop until they pay the toll. If you don't have a good barrier, then you have no way to ensure toll payment. Parking decks have been in use for years, and nearly every one of them has a gate barrier. It's a way to make sure people neither enter or exit without you knowing. By having a good barrier, you ensure that no one will leave without paying the parking fee. Any big business needs a way to keep people out of areas where they aren't wanted. A barrier is the easiest way. By putting up barriers, you can make sure that people stay where you want them. But with a barrier that is used so frequently, you not only need future-oriented and innovative engineering, but you also need energy efficient technology. Magnetic's access applications combines the high-use needs with the energy-efficient barrier, creating one all-around great access barrier. 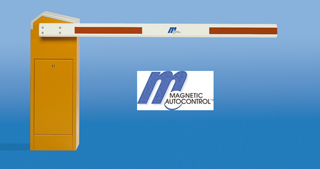 -Magnetic gate openers are built to last. They are built for heavy use applications, and will withstand constant use. -They also last through the weather. All of the electronics are sealed up, to prevent damage from the elements. -Magnetic Gate Openers are constantly evolving to keep up with the times. We have many options to suit whatever needs you may have of us. -Magnetic Gate Operators has also been coming out with new technology to keep meeting your needs. Even little things, such as our Articulating Boom make it easier to use in confined spaces. -Do you want your gate opener to last longer? -Do you want your gate opener to work better? -Do you want your gate opener to be easy to install? -Do you want your gate opener to use less power? -Do you want your gate opener to be compatible with many accessories? -Do you want you gate opener to open faster? -If you answered yes to any of these questions, you need a Magnetic Gate Opener.